Through this program scholarship funds are raised for deserving students from the Village of Hempstead. Since its founding, more than 300 young men and women has benefited from these scholarships. In addition to awarding scholarships, the program strengthens the bond between the Village of Hempstead and Hofstra University with the annual presentation of the prestigious Unispan Award to individuals whose professional or personal lives have enriched the Hempstead Community. Effective the start of the 2009-2010 academic year, Hofstra University will annually be offering the valedictorian of Hempstead High School and the valedictorian of Uniondale High School full four year tuition scholarships to Hofstra University. Hofstra University has agreed to partner with the Zawadi African Educational Fund to provide two women from East Africa full tuition scholarships for a four year period beginning Fall 2009. The scholarships are a significant milestone in the history of the University, and in the lives of these two young women. The Zawadi African Educational Fund (www.zawadiafrica.org) is a non-profit organization that seeks to help academically gifted but economically disadvantaged girls from Africa, to achieve a higher education. 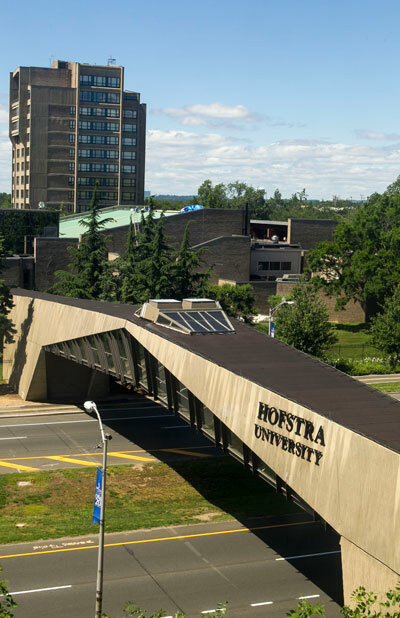 In 2002, Hofstra University established an unprecedented scholarship program for students engaged in service to the lesbian, gay, bisexual and transgender (LGBT) community. The program is designed to demonstrate Hofstra's commitment to equality and support for LGBT individuals. The program also includes the Hofstra Law School Fellowships for Advocacy for the Equality of Lesbian, Gay, Bisexual and Transgender People, as well as the Mildred Elizabeth McGinnis Endowed scholarship for students in the humanities. Minority Scholarship Opportunities - Incoming students may apply for The Dwight L. Greene Memorial Scholarship, which is a full tuition scholarship awarded annually to an individual who demonstrated a commitment to advocacy on behalf of minority groups. The Law School also awards the following endowed scholarships to members of diverse communities: Black Law Student Alumni Endowed Scholarship, Myrka Gonzalez and David Ochoa Endowed Scholarship, Honorable Frank A. Gulotta Endowed Scholarship of the Columbian Lawyers' Association of Nassau County, Inc., Blanche E. Jeffery Endowed Scholarship, LaLSA Endowed Alumni Scholarship, One Hundred Black Men Endowed Law Scholarship, and the Ricardo Ramos Memorial Endowed Scholarship. LGBT Rights Fellowship - The Law School supports a Lesbian, Gay, Bisexual and Transgender Rights Fellowship for students interested in pursuing advocacy work on behalf of these communities.